Last weekend I braved the strong winds and pouring rain and walked out onto Dorset Street in Dublin to jump into a taxi at 4.30am to go the airport to get an early morning flight to Barcelona. ‘Do you think the flights are even going in this horrendous weather?’ I asked the friendly taxi driver. ‘Oh yes, they are. I have already been out to the airport this morning. It’s the lovely Irish fog that causes flight cancellations, not a bit of rain and wind!’ he said, laughing. A friend of mine is currently studying in Barcelona so I thought I would take this opportunity to visit him and finally see the city that I have been wanting to visit for so long. And what a delight it was to finally escape the Irish wind and rain and arrive in Spain on a bright and sunny November morning. The skies were azure blue, the temperature a perfectly lovely 20 degrees celsius. My friend met me and took me to his favourite lunch place- a delightful Mediterranean restaurant called Balthazar in L’Eixample where we dined on delicious asparagus salad, turkey, sauces and rice, fruit and creamy desserts all for the bargain price of 10 euros a piece including drinks. 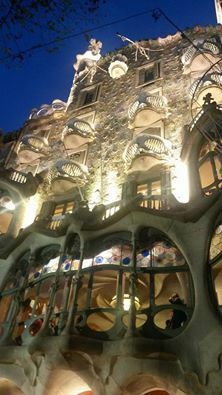 After lunch we strolled down the Avenue Diagonal where my friend pointed out some of Antoni Gaudi’s impressive architectural works including the delightful Casa Batllo. In the late evening we ventured out again to the Restaurant 7 Portes and enjoyed a delicious salad of the freshest greens followed by a Paella with everything in it- sausage, chicken and fish. We were so stuffed that we continued our evening ramblings though the narrow streets and passageways, strolling through the beautiful and impressive Placa Reial. Without my friend to guide me I would surely have got lost very fast in the alleys and streets he was leading me through and I generally pride myself in having a good sense of direction. The next afternoon when my friend went to his intensive Spanish course I decided that I would go to the top of the hill. If there is one thing I missed very much while living in Berlin, it was hills. I love cities that are built on hills and I so enjoy, when in a new city, to meander to the top to enjoy the view. In the past couple years I have very much enjoyed my solitary hikes up to Twin Peaks in San Francisco and Sacre Coeur in Paris. I love climbing steps and steep streets and the invigorating exercise that comes from it. 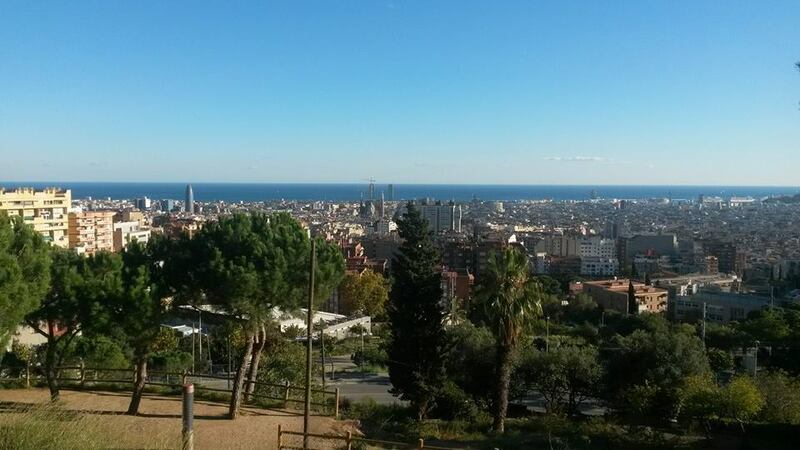 One of Barcelona’s main attractions is the Park Guell where there is a lot of Gaudi’s work. I skipped it on this trip. I can always go back. I chose instead to climb to a quiet place on the hill and sit in silence on a rock under a tree and gaze out at the stunning city and sea stretched out before me. I find it wonderfully restorative and meditative. From my rock seat I saw the Sagrada Famila Cathedral in the distance and decided I would try and walk back to it without a map. I managed very well to wend my way right down the streets and arrive right in front of Gaudi’s unfinished masterpiece that is still under constuction. 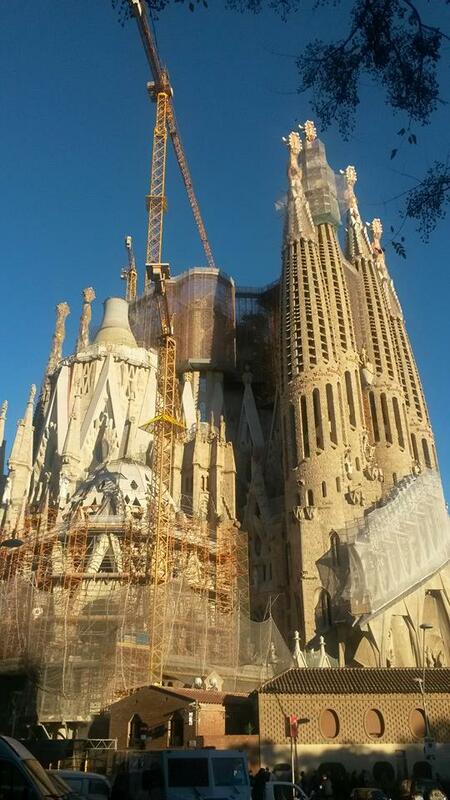 It is hoped that the Sagrada Familia will be completed by 2026 which is the 100th anniversary of Gaudi’s death. 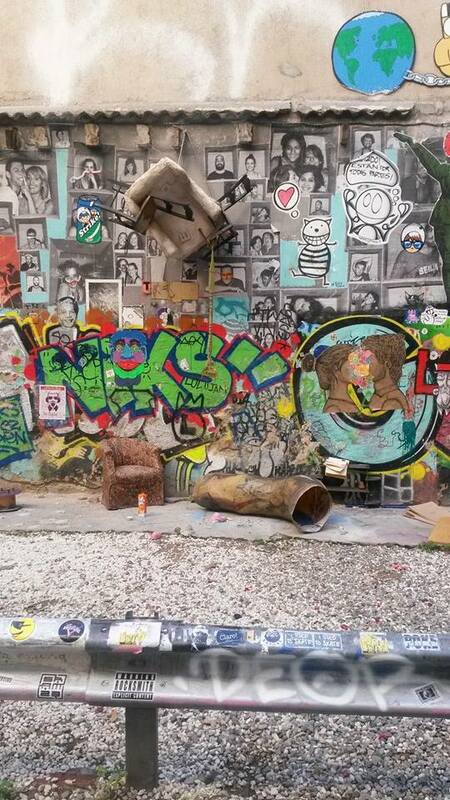 On Sunday afternoon I wandered again through narrow streets discovering graffiti, street art and fabulous courtyard cafes. 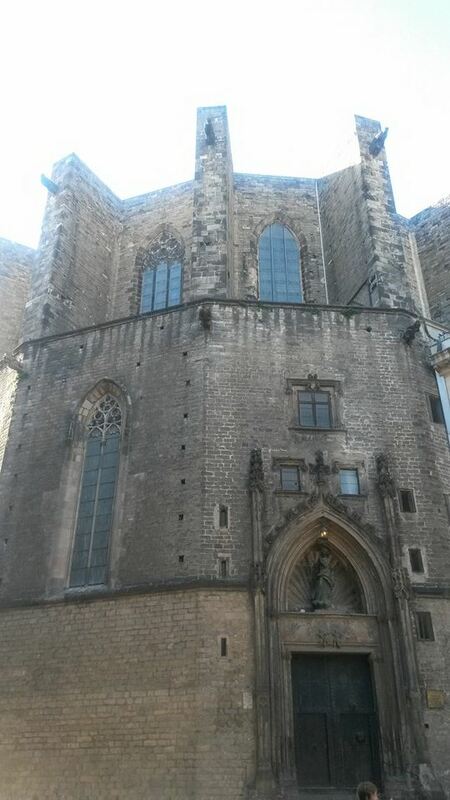 I also took a stroll through the Santa Maria del Pi Gothic church which has a most spectacular rose window. 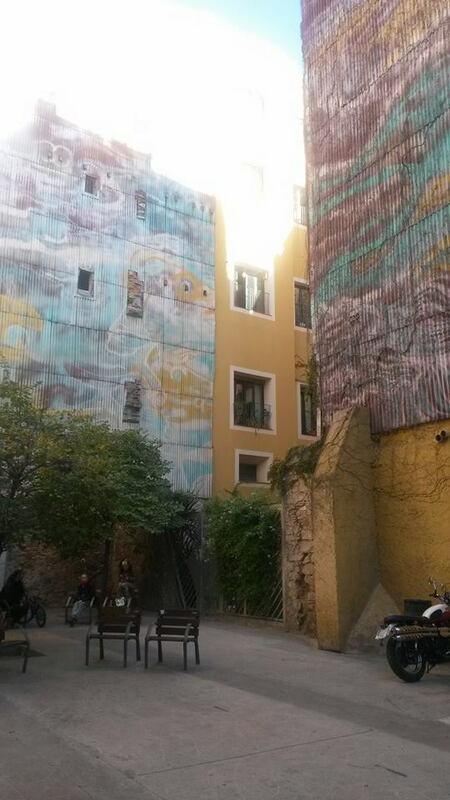 My friend then took me on a tour of the Barceloneta neighbourhood and we dined on delicious spicy chicken tacos, octopus and hummus at the sweetest Slow Food cafe. 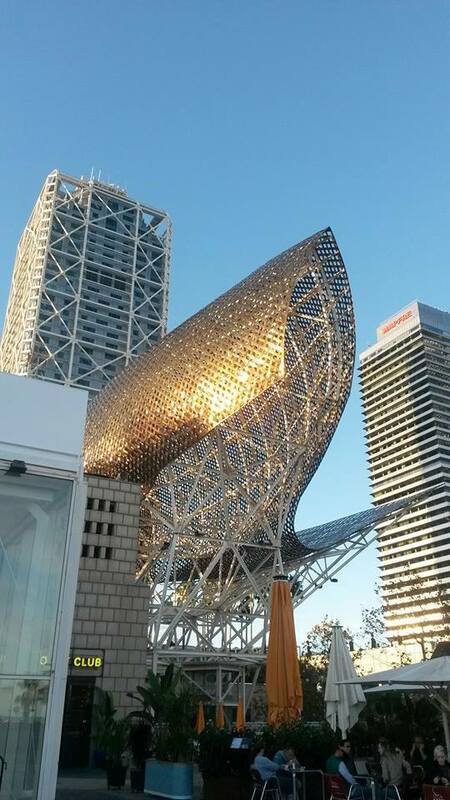 As the sun was starting to set we walked to the end of the Barcelona waterfront boardwalk to see another impressive sculpture: ‘El Peix’ the Barcelona fish, which is a huge stone, steel and glass sculpture commissioned by renowned architect Frank Gehry for the Barcelona 1992 summer olympic games. The fish sparkles gold in the sunlight and draws you in from quite a distance, beckoning you to walk the length of the boardwalk to view it up close. 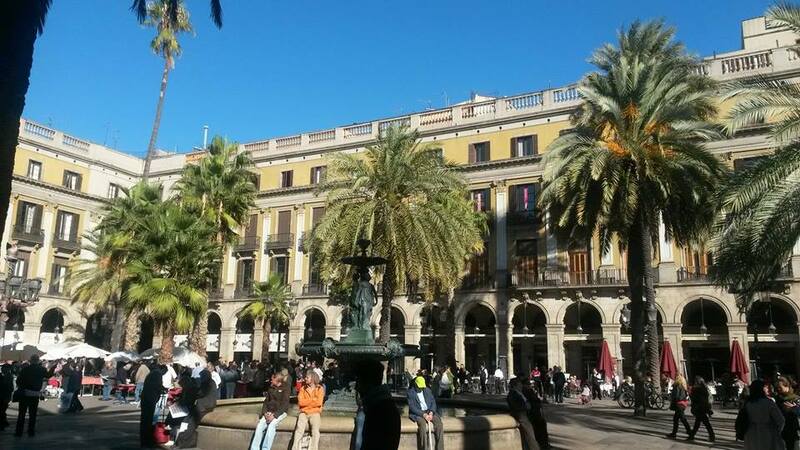 We then walked back along the waterfront and up La Rambla where I met my ride to the airport. 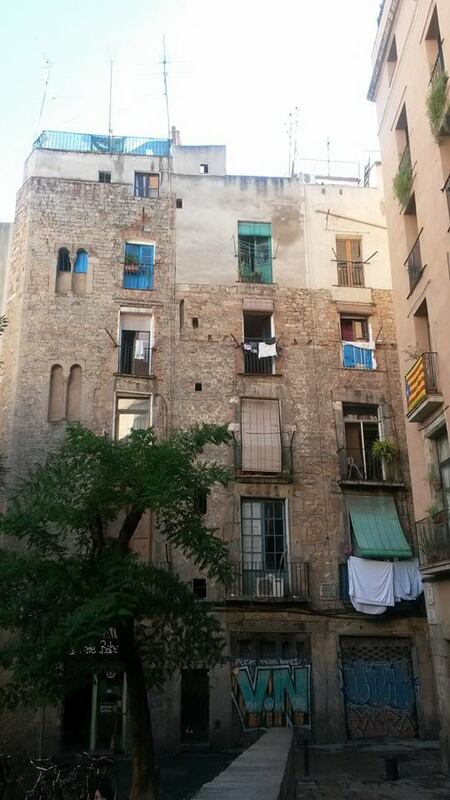 I feel that I barely scratched the surface of the wonders of Barcelona and very much hope to return again soon to continue feasting upon its splendid culinary and architectural treasures.